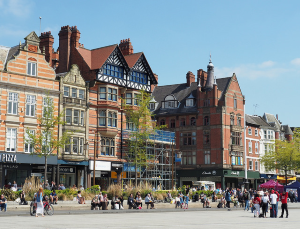 Dated policies and an unfair tax regime must be reformed to create an environment that will allow high streets and town centres to flourish in the future, a report published in February by the Parliamentary Housing, Communities and Local Government Committee (HCLG) has found. The Committee’s report sets out a bold vision for the high street based on locally led strategies, developed with local communities and businesses at the centre, and reflective of evolving commercial and economic patterns. The Committee calls on the Government to initiate reform in key planning and taxation areas, including the options of an online sales tax and reforms to business rates, to allow high streets to adapt to changing demand, and compete with online retailers such as Amazon on a level playing field. Landlords need to recognise the retail property market has changed and be more receptive to negotiating lease terms with retailers in financial difficulty – The Government should consider providing a conciliation service to facilitate negotiations between the parties.